Attila: Total War drops in stores only a year and a half after the launch Total War: Rome II (which is now in a much better space as Total War: Rome II Emperor Edition). Rome II was meant to be the title that would give fans everything they wanted from the first Rome while being updated with features that made Shogun II such a fan favourite. Yet Rome II failed to live up to fan expectations. Let’s be honest here; if you picked up Rome II at launch you know just how much of a disaster it was. Attila, then, had a lot to make up for. It needed to right wrongs. How, then, would the developers go about earning back fan trust? Apparently the same way Attila did for the Huns, with the use of the sword, the spear, and a heck of a lot of fire. The good people over at Creative Assembly had obviously just watched a rerun of Gladiator. The year is 395 A.D. and Rome stands divided. Theodosius I, just before he dies, decrees that that the Roman Empire should be split between his two sons. The West is given to his youngest son, Honorius while the East is given to his oldest, Arcadius. 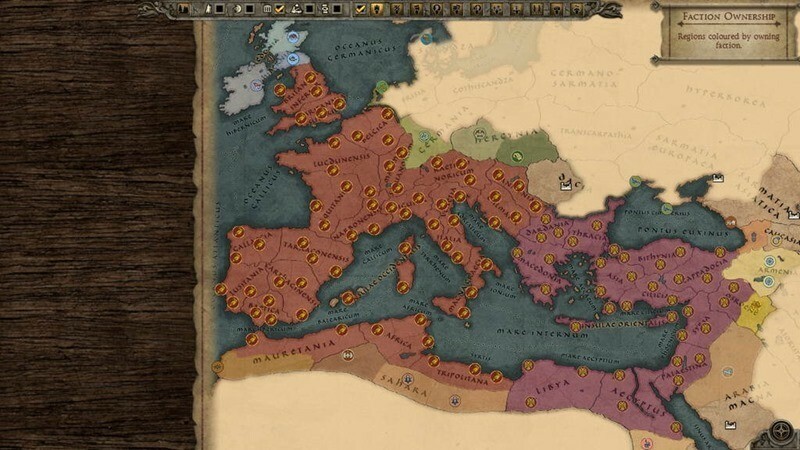 Playing as the Western Roman Empire will see you take on pretty much every barbarian faction on your borders. These barbarians all have an eye on the ailing Western Roman Empire in its hour of weakness. In addition, your estates are vastly mismanaged and require you to pretty much fix every province that the previous Emperors have mucked up. Public Order is falling throughout the empire and sanitation (a new feature that controls the chance of plagues breaking out in provinces) is in the red everywhere. You face legendary threats, and after only fifty turns I was forced to resign myself to defeat during my first play through. Playing as the Eastern Roman Empire is, however, a little easier. Your estates are managed well; you have a stable income, and decent armies. But as the Eastern most bastion of civilisation you will eventually have to contend with the great Persian Sassanid Empire and, of course, the Huns. Migratory barbarians also have an eye on some of your less well-defended regions for easy plunder (or even settlement). This is not Rome II. You will not easily conquer the world as a Roman. That much is apparent in the first two turns with each faction. In addition to these, you could also decide to play as the mighty Sassanid Empire in the Far East. This is a Persian styled Empire that starts in a strong position ready to assault the Levant, Asia Minor, or Egypt. Yet the Huns could forge south at any moment and plunder your lands. Playing as this faction would allow you to consolidate lands before punishing the Eastern Roman Empire or ridding the world of the Huns altogether. On the borders of these great but ailing Empires also stand the great migratory barbarians, pushed West by growing climatic instability (lands become less fertile as the climate becomes worse and the snows encroach westward) and a threat from the East. These include the Visigoths, the Ostrogoths, the Vandals, and the Alans as featured playable factions. These factions are a completely new and unique feature in Attila: Total War. In essence, you start with no owned regions but instead have armies that can create vast sprawling tent settlements each turn. In other words, your cities move with you. These have slots just like cities for tent upgrades, and you can recruit (or replenish) units while your army is settled. The main goal as one of these settlements is to decide where you would most like to settle. On the way, you should engage sack unguarded settlements for shiny loot. After your army conquers a settlement it has the choice to sack (giving a huge income boost), settle (permanently move in), subjugate (if their last settlement), grant independence (a new faction rises from under the yoke of their oppressors), or raze the settlement. If you raze a settlement, it completely destroys the settlement and leaves behind nothing but ruins. These ruins can later be resettled, but this costs an enormous sum of gold and will not happen very early in the game. Other playable barbarian factions (who are not migratory but have starting settlements) are the Saxons and the Franks. The last playable faction released with the vanilla version of the game are, of course, the Huns. These are a nomadic people, meaning they never occupy territories. Your armies can, like the migratory barbarians, employ the use of tent settlements to recruit (or replenish) units and upgrade their tents. Playing as this faction requires a very different tactic from even experienced total war players, as managing vast territories is just not possible. In my play through as the Huns, I quickly decided to subjugate many Northern weaker steppe factions to feed my growing armies. This gave me a small dependable income each turn which means I did not have to constantly have my armies in tent cities to get small income bonuses. Once I was strong enough I moved toward the mighty Eastern Roman Empire (which was currently embroiled in a stale-mate war with the Sassanid Empire). I employed two full armies (twenty units in each army) of the famous Hun Horse Archers by this time. These mobile units are by far the fastest cavalry seen in the series so far and have a very good range and a vast amount of ammunition in relation to other ranged units in other factions. In one battle with the Eastern Roman Empire, I killed just over one and a half thousand men for fewer than one hundred lost horses. 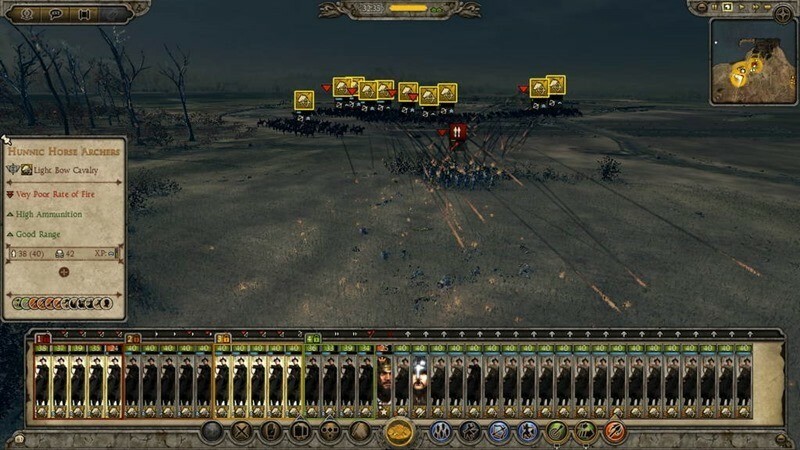 I had to withdraw my army from the field of battle because I had run out of arrows to continue slaughtering the enemy with. 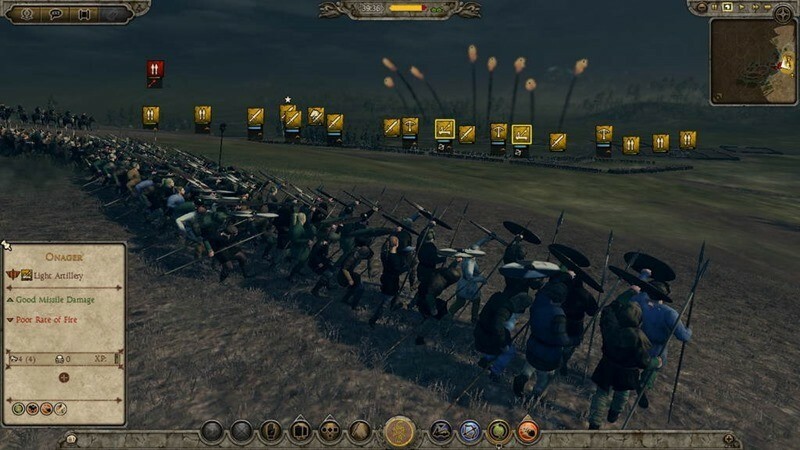 The Huns can level any army thrown at them (but manage the field of battle with care – most of the time I played on half speed because the Hun horse units are just so quick), but they suffer the most during siege battles. Taking walled settlements proves to be the biggest challenge you will face as the Huns, who have very little in the way of siege engines early on, but eventually razing these gave me immense satisfaction. Within just a few years (each year is comprised of four turns – one turn per season) much of the Eastern Roman Empire was smouldering ruins. I razed all of Greece, Macedon, Thrace, and Asia Minor before letting the Sassanids finish of their age old enemies. By this time it is only 418 A.D. and Attila will be a man soon. I bring my armies together and ready my Horde for their march west. Attila will raze Rome. Destiny has decreed it. Other features that make a welcome return are in-game cut scenes (which provide a narrative around the birth, and rise, of Attila) and family politics. Faction politics now feel a little better as they orientated around a family you once again care about. You can now assign provincial governors (who earn their own experience) as well as generals. General upgrades and military traditions return to the Shogun II style, which is sure to please fans. Religion is more nuanced (with many more types) in this game and factions can now change religion if a religion becomes too dominant in their province. The soundtrack for the game deserves a mention, as it is a pearl that I really want to buy for my iPod. Many tracks feature music that sounds like it is straight from the vast unending Steppes and really brings a Hunnic atmosphere to the game. The graphics are exceptional in game; with both the campaign map and battles looking better than ever. Fire arrows now set vegetation (or buildings) alight and the spreading flames look gorgeous. A unit you are attacking suddenly moves under some trees to hide? No problem – your fire arrows will burn the trees to the ground. No catapult to take out a pesky wooden archer tower harassing your front line troops? Fire archers can set that alight, too. My i7, 16 Gb Ram, and 1 Gb GPU struggled under the weight of all that beauty, however, and I had to eventually set the settings to medium all around. For those of you worried that Attila: Total War is just a Rome II expansion, I found this not to be the case. 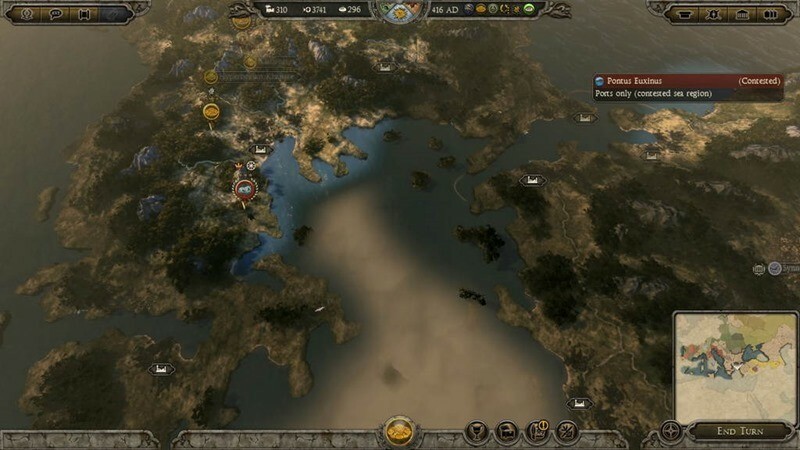 This game introduces a very different and new type of Total War experience. One which is no longer truly centred on the Roman civilisation. 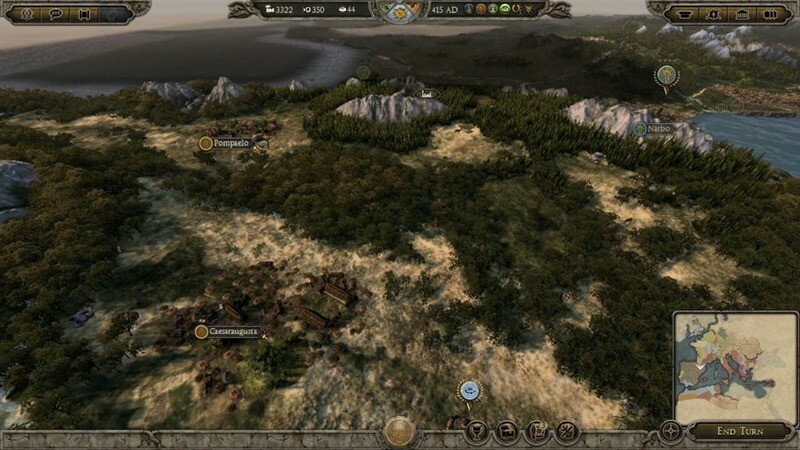 Instead, this iteration of Total War focuses on the era’s upheaval and turmoil (which it does very well). In many respects, this is one of the few titles where Total War really begins to describe the game experience. You never know when the Huns will come knocking, or a migrating Barbarian horde will target your well-tended lands for their own. The campaign AI can be, at times, brutally punishing. They often target your weaknesses like you have not seen in a Total War game before. On the other side of the spear, I have so far had a few game crashes each day (which these days I guess it to be expected with new titles). The load time between turns when the AI is executing its own turns just takes far too long. These are perhaps worse than those experienced on launch day of Rome II and really need the patch treatment as soon as possible. The in game encyclopaedia suffers from the same problem, which can be equally as frustrating. 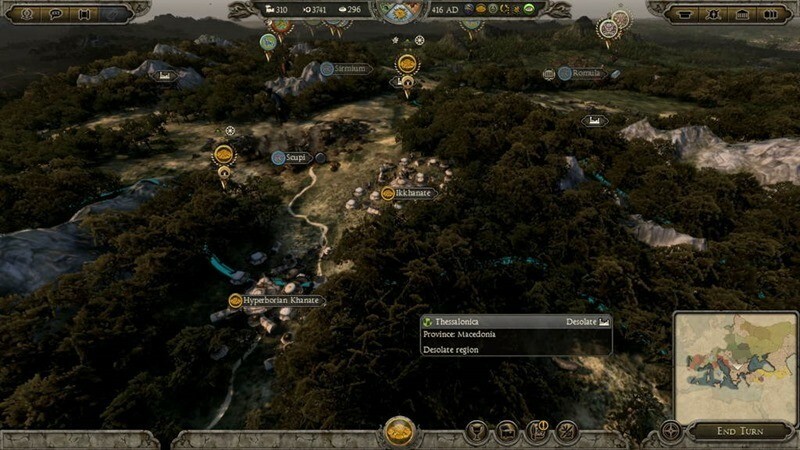 Especially since it is not always clear how agents, armies, and settlements can interact with so many new features around. My only other gripe is that Public Order and Sanitation doesn’t really feel balanced at the moment. It takes too long to get Public Order anywhere near 0 (the range is from +100 to -100, and more often than not I’m closer to -100 even with an excess of positive public order buildings). If this is done to replicate the tumultuous spirit of the era it could be acceptable but I really feel like there needs to be a better way to stabilise your regions when chaos reigns everywhere else on the campaign map. The only way I have found to really get ahead of negative public order is to recruit priest agents really quickly as they give huge public order bonuses if employed in a province. Another concern is the lack of blood in both the campaign map and battles. If Creative Assembly stays true to form, there will be a Blood & Gore DLC pack in the future to “add” these non-essential gameplay elements to your game. For a period piece game that focuses on the terror and turmoil raised by the Huns and Barbarian Hordes, it would be a slap in the face to charge me for some realistic blood, but happily let me watch my enemies’ burn to cinders from an overabundance of fire arrows to the knee. Total War: Attila is a complex and diverse strategy game that will offer returning Total War fans their fair share of ups and downs. 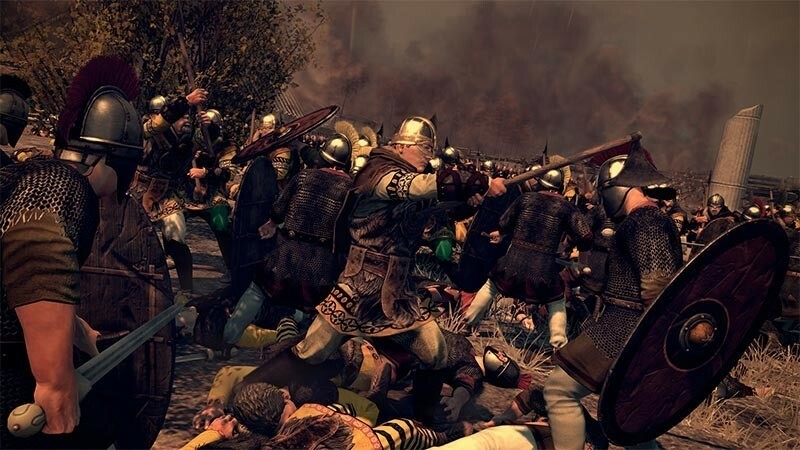 While some things remain faithful to Rome II and the Total War formula in general, Attila is a significantly better title in that it is a really good period piece with some thoughtful innovations on how to deal with the mobility and turmoil of the period. Plus, who doesn’t like setting the world on fire? Previous article Can you tell console from PC just by looking?